PRINCE2® (PRojects IN a Controlled Environment), is a structured project management method covering the Organisation, management and control of projects. PRINCE2® is widely used in both the public and private sectors and has become one of the leading project management methodologies around the globe. 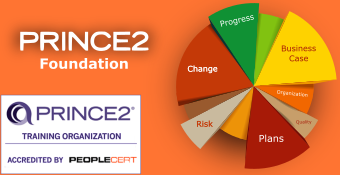 This Online Training Course on PRINCE2® Foundation Certification is delivered by GRT Consulting, a leading provider of consulting and training services in the areas of project, program and portfolio management. 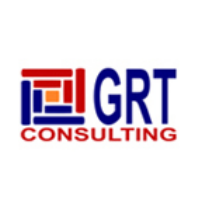 GRT Consulting is an Accredited Training Organization (ATO) with PEOPLECERT, an Examination Institute (EI) authorized by AXELOS Limited. PRINCE2® (PRojects IN a Controlled Environment), is a structured project management method covering the Organisation, management and control of projects. PRINCE2® is widely used in both the public and private sectors and has become one of the leading project management methodologies around the globe. PRINCE2® is a process-based approach for project management, providing an easily tailored and scalable method for various types of projects. The Foundation Level is the first qualification that is required to become a PRINCE2® Practitioner. This level is aimed to measure whether a candidate could act as an informed member of a project management team on a project using the PRINCE2® method, within an environment supporting PRINCE2®. To this end they need to show they understand the principles and terminology of the method. The Foundation Exam Format is an hour of multiple choice questions (Closed book). 35 out of 70 correct answers are required to pass. The Practitioner Level: Candidates must pass the Foundation exam before proceeding to the Practitioner level. The Practitioner Level aims to measure whether the candidate is able to apply PRINCE2® methods to the running and managing of a Project. They need to show that they are able to fine-tune PRINCE2® to different project circumstances and understand the relationship between processes, components and techniques. The Practitioner Exam is a Scenario based examination lasting Two and Half hours. This is an open - book format and the minimum pass mark is 55% out of a total of 80 marks. Any Project Management practitioner, seeking to familiarize themselves with a widely adopted Global methodology can enrol in this course and get certified in this methodology. PRINCE2® does not require any mandatory qualification. But it is suggested that participants have around 2 years experience in a project management environment before appearing for the certification. Participants appearing for the Practitioner examination should have cleared the Foundation exam.